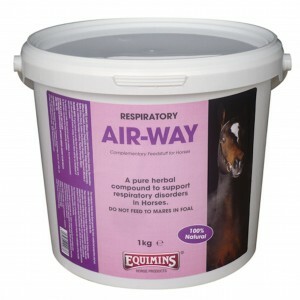 As you may have noticed, we have two Air-Way products in our range, both designed to help the respiratory system. First, we have Air-Way Herbs. This pure herbal compound contains liquorice, marshmallow, aniseed, garlic flakes, ginkgo, nettle, golden rod and peppermint, in one easy to feed product. The herbs used have been carefully selected to help relieve respiratory disorders in horses, helping to maintain the integrity of lung tissue and air ways. 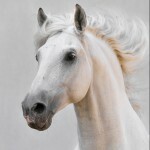 Feeding rates depend entirely on the size of the horse, meaning that a 1 kg tub or refill will last three to six weeks. Air-Way Herbs is also available in 5kg bags. Prices start from £17.75. Air-Way Liquid Herbal Tincture has a slightly different formulation to Air-Way Herbs, and is provided, as the name suggests, in a liquid format. It contains liquorice, echinacea, marshmallow, coltsfoot, garlic, plantain and clivers, all herbs selected for their properties when it comes to lungs and airways. Feeding rates for this product are very modest, with just 15ml required per day, meaning that 1 litre will last the average horse for 66 days and has a RRP of £18.95. You might be wondering how to choose between these two respiratory supplements, and it largely comes down to personal preference, yours and that of your horse. We will be writing a blog about herbal tinctures in the future- about how they are made and how they work, so keep checking back. See Air-Way Herbs, Air-Way Liquid Herbal Tincture, the respiratory range or contact us for further information.